The two were caught at the same time that the sun disappeared. This was the second time they fell to the hands of the deadly group. Sensing something odd about the two bounty-goers, the man wearing a coat that bears St. Peter's cross ordered his subordinate to tie them up. He was about to withdraw his attention from them when the spiky-haired boy asked him a question. 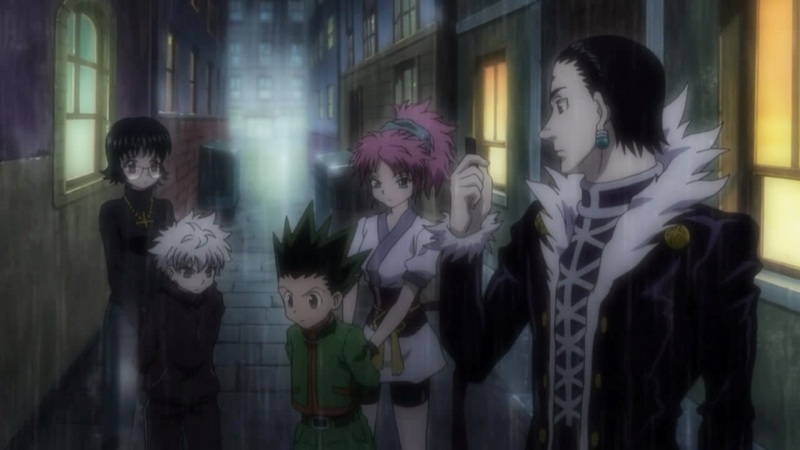 "Why do you freely kill people who have nothing to do with you?” Gon didn’t fear to question the leader of the Phantom Troupe. The kid was brave enough to let those words escape from his mouth. Unlike his best friend, Killua was fully aware of the mishap their hasty actions and tactless mouth could bring them. He wondered if Gon had realized the possibility that those words could be his last. Luckily, he was redirecting the lines to a level-headed guy. Though it wasn’t obvious, Chrollo Lucilfer was stopped for a second. For many years of slaying people who had no connections with him, he didn’t even give a second thought about it. "Why am I doing this?" It became a short-lived question. A surge of bloodlust was enough to keep the deepest intentions within and made him ignore the probe. He accepted death and walked with different kinds of danger every day. Living without it was like not living at all. He also discerned that even if he was able to come up with a verbal excuse for his intents, it is not the loud-mouthed kid’s business to know. “Your nature won’t be able to handle the response that you seek”, he quietly said to himself. He also murmured as to how he hates the act of describing his motives. A gleam of light suddenly struck his thoughts. While covering his mouth with his right hand, he uttered softly, “Is that the key to understanding myself?” Chrollo managed to remain sublime while doing all this. The Phantom Troupe’s boss did not let a slight hint of aura to come out of his body. But this was enough to give Killua the creeps. He had never met such a guy who can terrify him just by the way he acts. "If they tried to escape, you can kill them." Killua’s fear heightened upon hearing this line from the boss. His hands could escape from the Nen threads of the pink-haired girl but he couldn't leave Gon being held as a captive alone. Aside from that, there was no chance for him to escape the trio. “I’ll be happy to,” Machi responded. She tightened the Nen threads that constricted the hands of the two kids letting them sense her desire to kill them off at once. Shizuku recovered from reassessing the recent hiatus from their pursuit of the chain user. She hid her deme-chan, a conjured vacuum cleaner with teeth and tongue that she uses for combat but still, she maintained her defensive barrier. She knew that Machi holds the hostages so she needs to be more careful. She would act as danchou’s support or shield for the meantime. After hiding her vacuum, she continued to use Gyo. She was too caught up about their chase that she could not tell whether they were being followed. Thanks to danchou’s hypersensitivity that they were able to detect and apprehend their tails. “Hello? 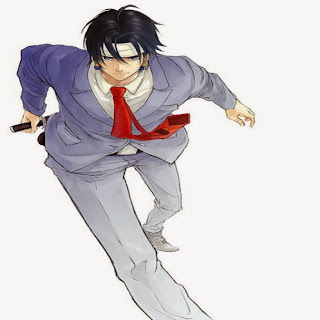 This is me,” Chrollo introduced himself in a confident manner. “Yes, danchou,” Phinks quickly recognized the voice from the other line. “Roger that.” The call ended. As their group walked together to the hotel with the hostages, the Phantom Troupe’s leader was able to quickly recollect a few things that happened in the past. It was the fault of that chocolate brown-eyed boy for stirring those memories that were deeply concealed in his bank. The rain had accentuated the dusk that covers Meteor City. Aside from the darkness, the precipitation had worsened the intoxicating smell of juices which came from the mountains of filth. Corroding scraps, decaying leftovers and a few rotten bodies were some of the things that you could find in the city of people who did not exist. With all the hazardous chemicals and materials from different parts of the world being stacked, no weakling could ever survive the life on this site. To add up to the gruesome feel of the place, loud cries from innocent lives could be heard nearby. Meteor City is not only famous for being the world’s landfill of foul materials. It was still a refuse heap for unwanted babies. Some of these infants were being taken in by the inhabitants while some were left alone in the junk site to suffer their last breath. According to the stories that Chrollo heard, he survived a week of hunger, sickness and cold as a baby. No one ever took the boy in the basket that was covered with a blood-bathed cloth. Residents of the dump site assumed that whatever was inside might have been dead already. Days passed and the heavy rain continued to smash the roofs of the houses and slap the grounds of Meteor City. The infant was different from others that were taken in earlier by the inhabitants. It remained to be unfazed by the foul scent and sore ambiance of its surroundings. It did not consume anything for a week. No one would ever bet a cent that they could find the child alive in the midst of rubbish. After the week-old rain stopped from falling, it took two more days before he was found. The future leader of the Phantom Troupe had no issues with the family that raised him. He was a beautiful and charismatic boy. Many would listen and gather around him while he talks about different things. 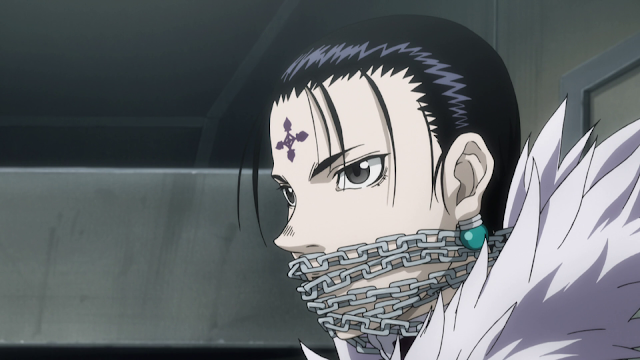 Chrollo grew gracefully despite the everyday chaos in the community. He developed a great interest on reading books which he collected from the dump site. This amplified his in-born talent which led to the discovery of Nen. He continued to live like this until he had touched something bizarre from depths of Meteor City’s junkyard. That was one of the brightest days of Meteor City in Chrollo’s memory. He decided to take a walk and visit the point where he was found by the residents. Hoping that his current intelligence would be enough to deduce the identity of his biological parents, he went on to the site to check for leftover evidence. His shirt was soaking wet from sweat. He took them off and resumed the excavation. Since it was many years ago, the small hill of junks where he was found became a huge mountain of litters. Chrollo found the exact place where he patiently waited for someone to take him in. While examining the area, he felt that something was odd. He then found something shining beneath the old basket where he used to lie as a baby. His hands reached for the thing. On the instant that he touched it, everything went crazy. “Ahhhhhhhhhhhh!! !” Chrollo screamed at the top of his lungs. Everything went black. That sensation was totally obscure for his very young body. He remembered asking many questions repeatedly but he couldn't seem to find an answer. They arrived at Hotel Beitacle ten minutes before seven. The captives seemed to have fully surrendered themselves. He was convinced that they won't talk about what happened to Uvogin and the abilities of the chain user. He could ask Feitan to torture the two unfortunately, they were not in the right place. They didn't have the luxury of time as well. All he needed is for Paku and her group to arrive so that the memories of Gon and Killua could be extracted. After a few minutes, Paku came along with Kortopi and Nobunaga. Chrollo didn't waste a second and asked Paku to check the kids. The boy with the slanted eyes tried to buy time while the shorter boy supported his friend. Unfortunately, Pakunoda grabbed them by holding their mouths before they could say more. They were lifted by that strong woman and told them to shut up. "What are you hiding?" She interrogated. Unfortunately, they were outwitted before they realized it. Everything went black. Chrollo was waiting for an answer in Hotel Beitacle when the lights went down. He was distracted that it took a lot of time before his eyes could adjust to the darkness. Before he was able to adapt, something was wrapped around him covering his mouth and constricting his body. "What's this?" The Phantom Troupe leader couldn't move. “Can I break free from it with my raw strength?” Chrollo asked himself. “Can I use my Nen?” He asked again. Every written work in the Fantasy Fan Leogan website is owned by Fantasy Fan Leogan with the exception of some fan submissions. No part of Fantasy Fan Leogan or any of its contents may be reproduced, copied or modified without obtaining permission from the site owner or administrator. Commercial use or other distribution means of the contents of this blog is not allowed without consent and permission from the site owner. See My Blog's Copyright Notice.